What Should Air Conditioning Be Set At? Blog-Heating & Cooling-What Should Air Conditioning Be Set At? Living in America’s Finest City has its perks, and possibly the best of those is some of the best weather across the country. However, even with near perfect weather, San Diego does experience extreme heat waves during our summer months. While many coastal homeowners may enjoy a natural cool breeze, having a home air-conditioning system is a necessity for some. Have you ever wondered how your home air conditioning delivers that perfect cool temperature throughout your home? Home air conditioning systems have four major components, the evaporator, compressor, condenser and an expansion device. All of the air conditioning components work together to create the most comfortable temperature for homeowners during warmer months. Today, we will talk briefly about three of these components and how they create the perfect home temperature. The evaporator does what it sounds like it should do. It evaporates the refrigerant and fans blows it through copper coils. The refrigerant absorbs the heat from the air and changes from a liquid to a gaseous vapor. The compressor is typically located outside of the home, usually on a concrete pad on the side of the house, or in some cases on the roof. From the evaporator, the vaporized refrigerant then passes through the compressor. This part of the system compresses the vaporized gas creating a higher pressurized gas at a higher temperature. At this point, the high pressure, high temperature gas moves to the condenser. 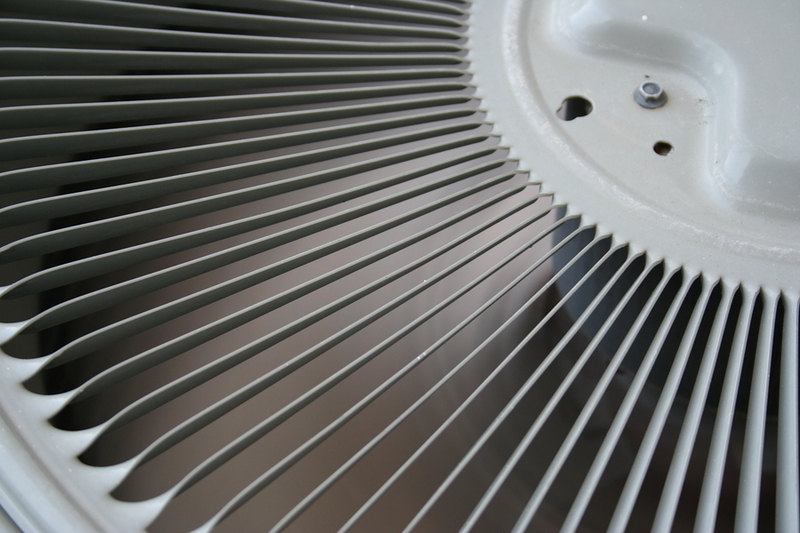 The condenser houses the compressor and fan blowers for the home’s air conditioning system. The condenser takes the gas form and condenses it back to a liquid state. Heat dissipates out through of the unit into the outdoor air and the cooled off liquid is returned into the home. What homeowners experience as cool air blowing through the vents is actually air that has had the heat and humidity removed. Although many more aspects go into cooling the home, this brief explanation serves to show homeowners how hard their home air conditioning works to deliver the perfect temperature. How homeowners use their air conditioning systems can help to increase efficiency and make sure they are not overworking. Did you know it is easier to maintain temperature than to cool it from high degrees in the summer heat waves? Many homeowners think they are saving energy by turning their air conditioning systems off during the day when they are not home. If homeowners come home to temperatures above 90 + degrees and try to cool the home down to 72-75 degrees, the system has to work twice as hard and the energy usage is more than if they set their thermostats at around 80 degrees while away allowing the air conditioning system to cool only 8 to 10 degrees difference. There are many smart thermostats available on the market that allow homeowners to control their home temperature from anywhere. By utilizing a smart or programmable thermostat, homeowners can set the temperature in their home to regulate and maintain the perfect temperature control all summer long. 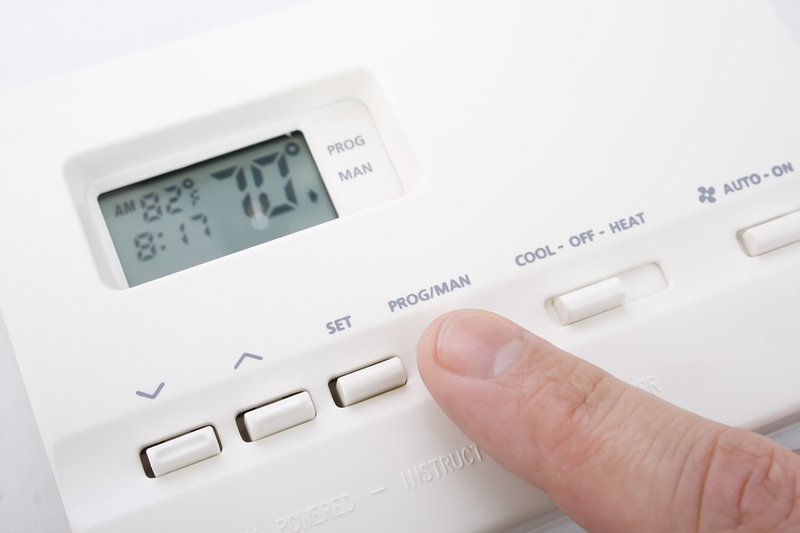 Energy savings agencies recommend temperatures between 75 and 78 degrees for efficiency and comfort. Zone control systems, such as the Mitsubishi Mini Splits are ideal options for homeowners wanting to install an energy efficient system in a home that may not have space for ductwork, and also for larger homes with multiple rooms and or levels. Zone control systems allow homeowners to set each zone, or room, to a specific temperature. During heatwaves, this is especially helpful to control unused rooms’ temperatures keeping the cost down to run air conditioning in the home. Zone control systems also allow for individual comforts. Let’s face it, there’s always a battle for the thermostat. With these systems, everyone can enjoy their own perfect temperature in their own space. Humidity is a big factor when cooling your home. The more moisture there is in the air, the harder home air conditioners have to work. Luckily, San Diego does not have high humidity levels year-round, but we do get spikes in humidity throughout the year. Typically, this increases the use of home air conditioning systems. Did you know that humidity levels are what prompted the invention of the first air conditioning system? Willis Carrier was asked to develop a system to remove humidity at a printing shop in New York in the early 1900s. During the summer months, the printer was losing money because the ink would not dry and he was unable to run his printing press. Carrier designed what we now know of as a residential home air conditioning system with the sole purpose of removing humidity. This was a happy accident; the air conditioning system also cooled the indoor air temperature. 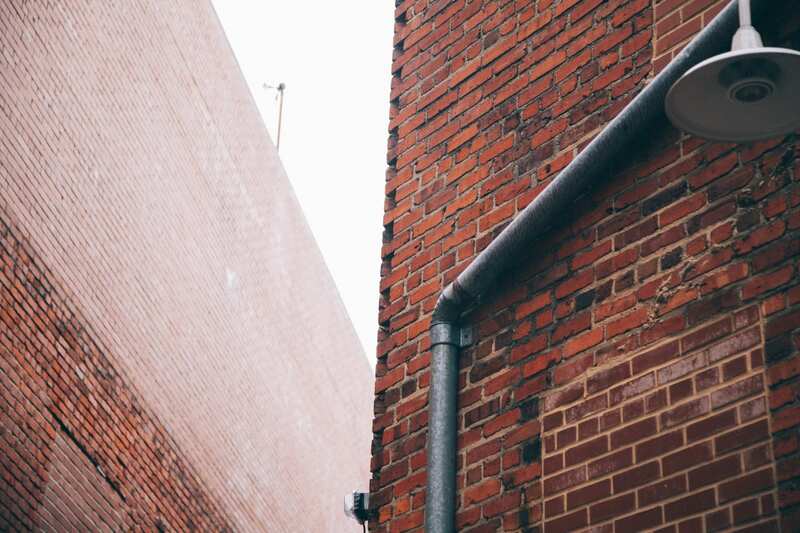 Because air conditioning systems still work to remove humidity, they have a condensate, or drain line, that collects the moisture and drains it into the homes’ current plumbing system. It is important to also note that in high humidity, air conditioning systems have to work harder. In San Diego, most homeowners do not have to think about this too often, but we do get spikes in humidity throughout our summer months. Some other factors that keep your air conditioning system working at its optimal level should also be taken into consideration when homeowners are setting their desired temperature. Using a programmable “smart” thermostat and allowing the home air conditioner to run continuously will help to maintain the perfect temperature all summer long. Most thermostats are now made to be used along with an app downloaded on a smartphone or tablet and can be controlled from anywhere. By using a smart thermostat, it is easy to ensure that the home’s temperature is exactly where you want it to be throughout the day. By setting it at a slightly higher temperature while away, homeowners can set it lower prior to their return making it cool and comfortable the moment they walk through the door. The air conditioner doesn’t have to work extra hard to take excessive heat out of the home and the energy usage could even be reduced if set correctly. A good recommendation for an away temperature is in the low eighties if the home temperature will range between 75 and 78 degrees. Homes that have proper insulation will maintain thermostat temperatures more efficiently. By insulating attics and even inside of the walls, conditioned air does not escape. It also helps during heat waves; insulated homes will retain a cooler temperature making the air conditioning easier to run and cool the home at desired lower temperatures. Installing energy efficient windows is also a great way to insulate your home. Both energy efficient windows and insulation can often be financed through the HERO program, learn more here. Properly installed ducting helps to ensure your home air conditioning is working to optimal performance. Over time, ducts can settle, bend, and kink or even become dislodged. If they are not sealed properly or have restricted airflow, you will essentially be cooling your attic or crawlspace. What a waste! Thus, it is important to regularly check the ducting. HVAC professionals can do this as part of the recommended routine annual maintenance. HVAC professionals and manufacturers recommend using high efficiency filters and keeping them clean throughout the year. If homeowners have filters that require changing, they can be changed as often as every 3 months depending on dust and debris from the home. If homeowners have pets or live near busy roadways, they should ensure their filters are changed or cleaned often, even when the system is not in use. A clean, efficient filter will not only help the system run smoother, but it can prevent the system from getting clogged up, which could potentially harm it. If filters are dirty, the system has to work twice as hard to condition the air and provide a cool and comfortable temperature. 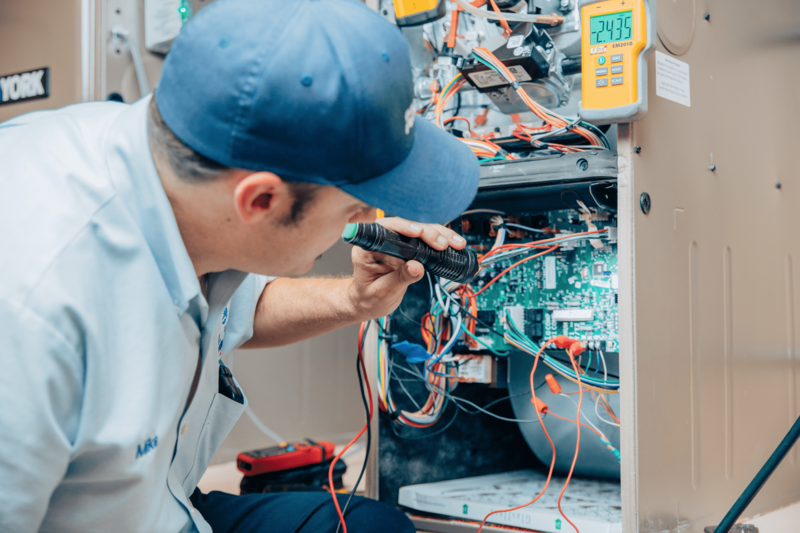 Not only does annual maintenance help to ensure your home air conditioning is running when you need it most, it is required by manufacturers to keep the warranty intact. Once a year a home air conditioning tune-up or maintenance should be performed by a professional service technician. 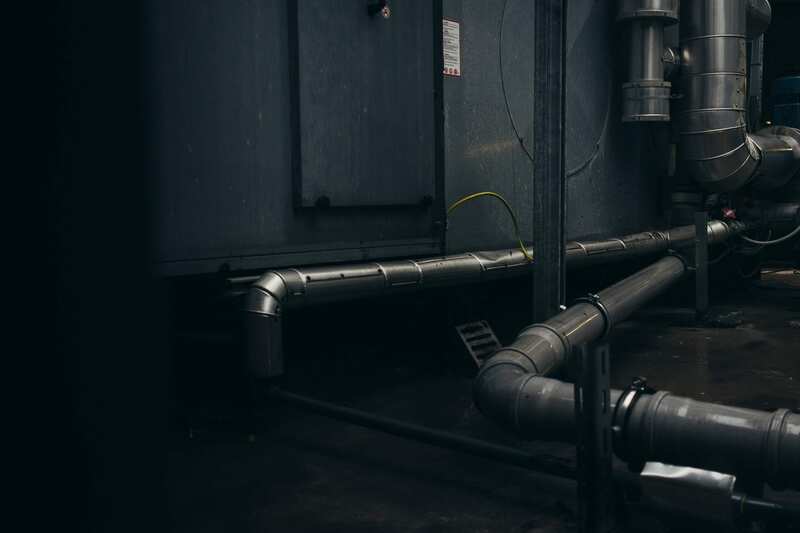 The right specialist will perform a 24-point inspection ensuring the filters are clean, all blower motors are cleaned and operating properly, and will check the amperage or electrical draw of the unit. They will look for signs of inefficiency, leaking, proper configuration, and perform safety checks. By scheduling your maintenance in the spring, homeowners can often get a good pre-season deal and rest easy knowing that when the heat wave hits, they will have the coolest house on the block. 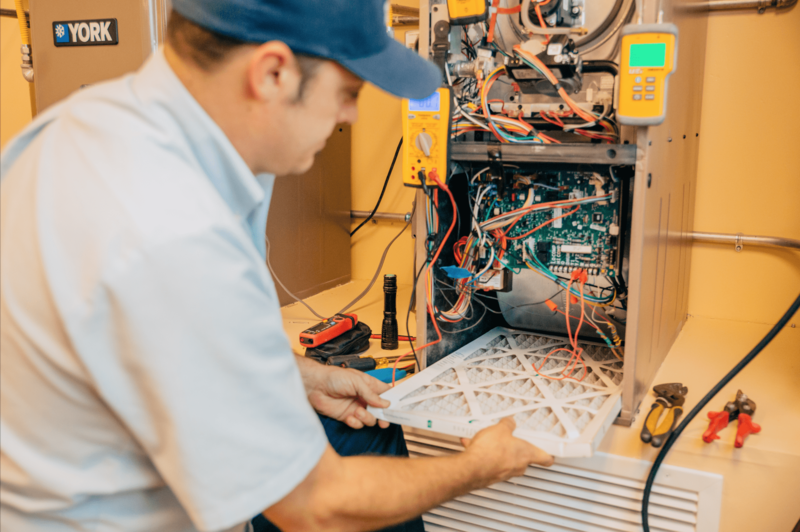 The specialist will keep your home air conditioning running at the optimal level and setting the right temperature during hot months will keep homeowners comfortable all summer long. Once homeowners determine the right temperature for them, they can create the perfect schedule on their smart or programmable thermostat and stay in comfort through the hot months. By ensuring their system is running efficiently and they have all the necessary components in place, it is a breeze to remain at a cool range of 75-78 degrees. For some, a little cooler is more comfortable, but will increase running costs. Just remember to insulate the home, make sure their system is clean and maintained, and keep the temperature within approximately 10 degrees of the perfect temperature, and those energy costs won’t skyrocket! For a professional assessment and annual tune-up, call 1-800 Bill Howe (245-5469) and the trusted professionals at Bill Howe Heating & Air will ensure your system is set at the right temperature and running smoothly!